disappeared in Shogunle, Lagos recently. 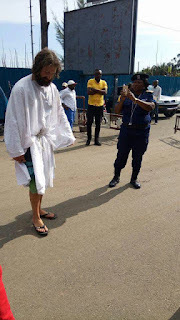 Description : According to reports, he appeared and then, disappeared in Shogunle, Lagos recently. 0 Response to "Photo Of Alleged 'Jesus' Who Appeared And Disappeared In Shogunle, Lagos"